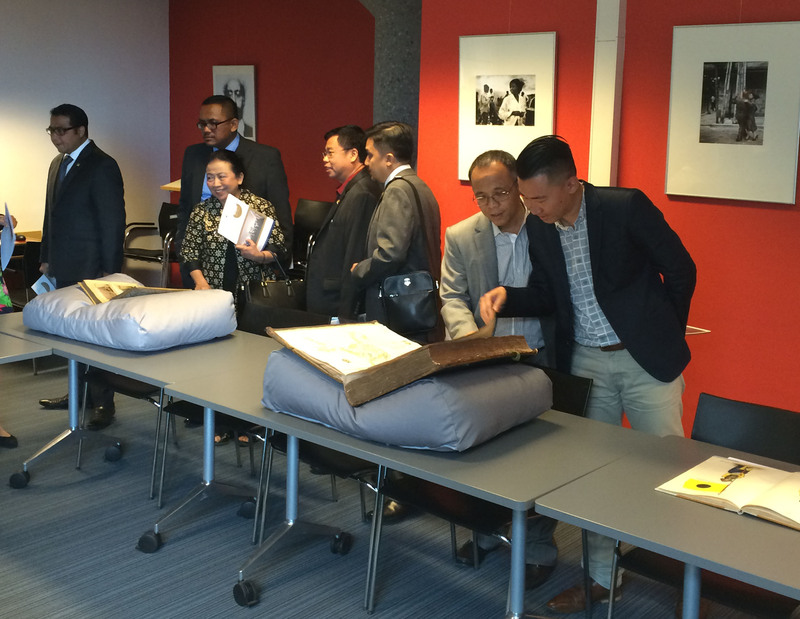 Today we welcomed Commission Ten of The Indonesian House of Representatives in the Leiden University Library. This Commission is responsible for education, youth affairs, sports, tourism, art and culture in Indonesia. After a presentation about the UBL and The Asian Library, some unique objects from our Southeast Asian Special Collections were put on display for our guests to study.